When shopping for used gym lockers, we cannot be beat. Despite being pre-owned, our gym lockers for sale are built with heavier gauge steel than standard metal lockers are. As such, they still have years of use left. 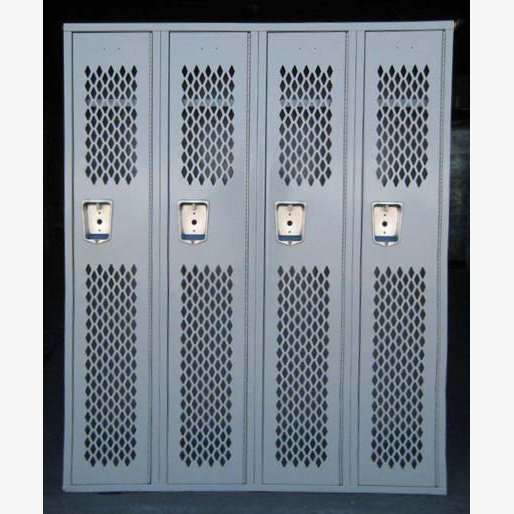 Most, if not all, of the athletic locker styles feature perforations in doors and/or sides to increase air flow throughout the units. The ventilation not only keeps clothing and equipment dry, but helps prevent odors and mildew from taking root. Take a look at our selection below of athletic lockers for sale to find the best fit for your needs. If you have any questions, need a quote, or can’t quite find what you’re looking for, contact us here. We feature a wide variety of used gym lockers for sale, from single tiers to mixed tiers, which have a combination of doors of varying sizes to provide the most value for your budget. All units are already assembled, and some are even fully welded to provide the utmost durability and longevity for your athletic locker room. 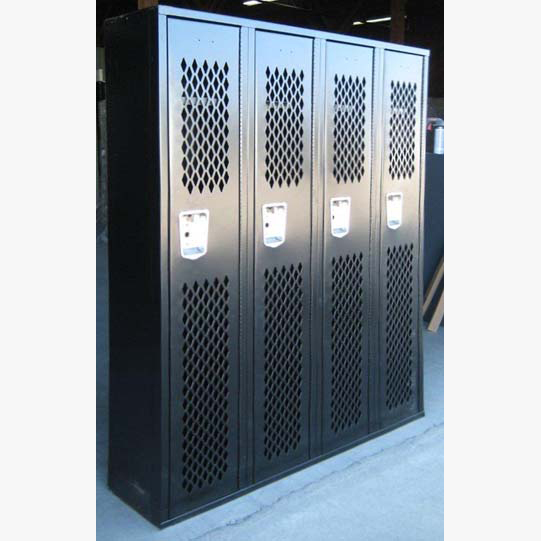 Whether you need lockers for football, basketball, lacrosse, baseball, volleyball, or just gym lockers in general, we have the right fit for your equipment. When we receive shipments of used lockers into our warehouses, the first thing we do is inspect each column for damages, defects, etc, using a multi-point process. If there are any damages that affect the functionality of the locker, we fix any issue until they are in perfect working order. We will not ship an inferior product! We are always selling and receiving new stock, so be sure to check back with us frequently to see our latest inventory.